The Worcester Art Museum's mission is to connect people, communities, and cultures through the experience of art. Founded in 1896, the Worcester Art Museum's (WAM) mission is to “connect people, communities, and cultures through the experience of art.” WAM actively pursues this mission by sharing and caring for its distinguished encyclopedic collection, and through special exhibitions and events, innovative programming, university and community partnerships, and art classes and workshops. WAM's collection of nearly 38,000 objects contains superlative examples representing 51 centuries of creative spirit and cultural heritage, including some of the finest Roman mosaics in the U.S., worldrenowned works of European and American art, and 3,500 Japanese prints documenting the entire history of printmaking in Japan. Since acquiring the Higgins Armory collection in 2013, WAM is now home to the second-largest collection of arms and armor in the Americas, next only to the Metropolitan Museum of Art. WAM was the first museum in the world to purchase a Monet painting of water lilies (1910) and a painting by Gauguin (1921). It was also one of the first American museums to exhibit photography as fine art (1904), as well as to install an entire work of architecture – a 12th-century Romanesque chapter house – as a permanent exhibit. Take part in great activies for Kids and Families. Welcome to the Worcester Art Museum. Please enjoy all the Museum has to offer, and help us protect the art. Please do not touch the works of art. This is the most important rule to remember in the Museum. Stay back two feet or more from the works of art, stands, glass cases, and walls. Please hold your young child’s hand for their safety and the safety of the art. All large bags, backpacks, and umbrellas must be placed in the coatroom. Lockers are available. Food, drink, and gum are not permitted in the galleries. Only pencils and colored pencils are allowed in the galleries. The coatroom is located just inside the Lancaster Street entrance of the museum. Key-operated storage lockers are available in the coatroom. Keys may be requested upon check-in. All Museum galleries are wheelchair and stroller accessible. A limited number of wheelchairs are available for visitor use in the galleries. Please inquire at the Visitor Services/admissions desk upon your arrival. A barrier-free entrance for visitors entering with wheelchairs, strollers, walkers, etc., is located on Tuckerman Street via the Stoddard Garden Court. Baby changing stations are available in the 1st floor and 2nd floor restrooms. Breastfeeding and bottle feeding are permitted throughout the Museum. Please visit the Museum Café for more information and hours. Vending Machines are available on the Lancaster Lobby balcony. A coffee cart is available during open hours in the Lancaster Lobby. Audio Tour equipment is available for rental at both admissions desks. Non-flash photography of artwork is permitted in all Museum galleries, except in the Art Since the Mid-20th Century Gallery. Please ask the gallery attendant if you are unsure. Download tips on taking successful selfie photographs. Visitors may be filmed, videotaped, and/or photographed by an employee or contract photographer. Admission serves as permission for the use of images of visitors by the Worcester Art Museum and its constituents. However, visitors may ask—either the photographer or a WAM member—not to be photographed. 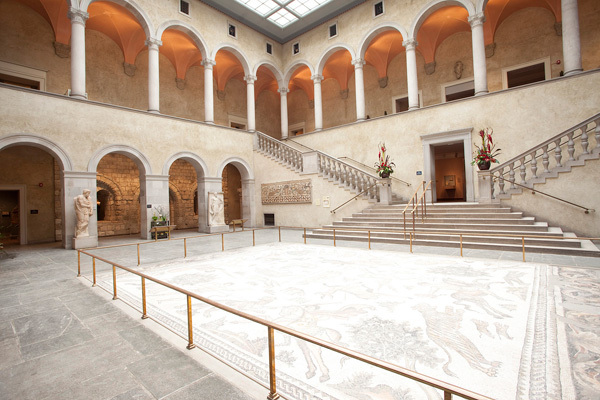 The Worcester Art Museum asks all photographers to respect the wishes of Museum guests, many of whom visit for quiet viewing and enjoyment of the art and galleries. Harassment of any visitor or infringement on their personal space is prohibited. Please contact us at marketing@worcesterart.org if you would like your picture removed from one of our online platforms. Thanks for visiting—come again soon!